Joey 6's Story . . .
Joey came to MAESSR after he found his way to a New Jersey shelter as a stray. Because he was very stressed in the shelter, the staff felt that he would do better if he were place through MAESSR with a family that understood Springers. The MAESSR shelter team leapt into action and the next thing you know wonderful transport volunteers had moved Joey to his foster home. This cutie is a high-energy puppy that loves water. He is crate trained and housetrained. Although Joey does not have very good manners with other dogs, he is learning fast in his foster home! If given the opportunity, counter-surfing is to be expected from this young lad. Joey is very sweet with people, but he’s a bit too rough with young children until his manners improve. Joey rides well in the car. On leash he pulls, but he’s starting to get the hang of walking appropriately. 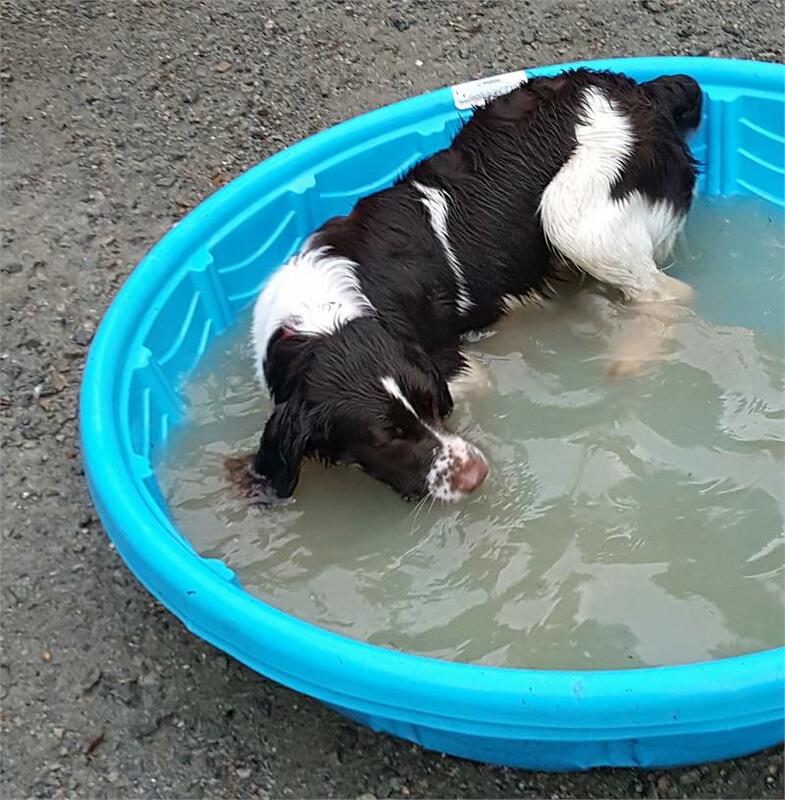 Joey is very much a puppy that needs to learn the ways of well-behaved Springers. MAESSR only places puppies in homes that are committed to training and bonding with the pup in obedience classes. Puppies require a lot of care, attention, and patience, and they do chew on things! The decision to get a puppy and raise it to be a healthy, happy, and well-adjusted dog is a serious commitment. To reinforce this commitment, MAESSR requires all adopters of dogs one year old and under to enroll their puppy in obedience classes within 60 days of adoption. Joey’s adoptive family will be required to enroll him in two series of obedience classes to ensure that this cute little boy learns the appropriate actions for his future success. 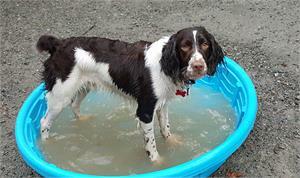 If you are a water-loving family in search of a sweet Springer buddy, then Joey could be a perfect match.